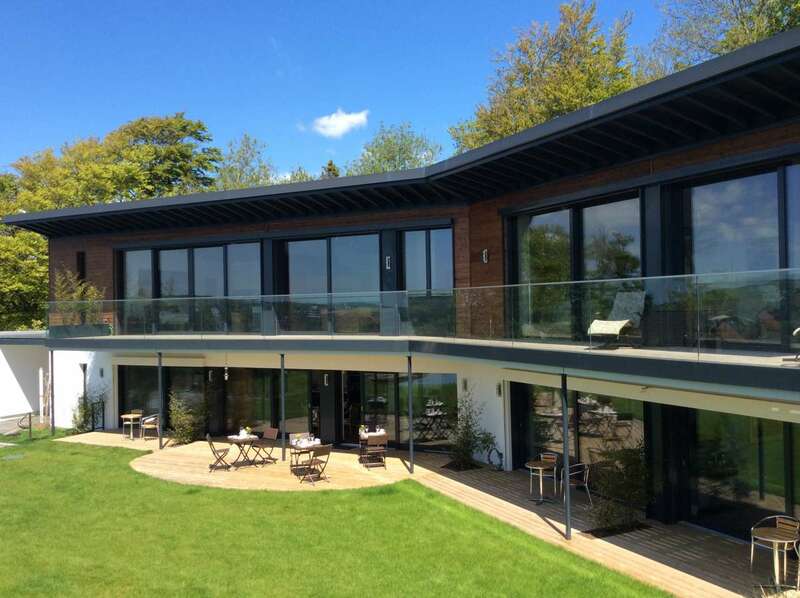 Skyhouse Sussex is a luxury, dog friendly Bed and Breakfast in Lewes, Sussex. 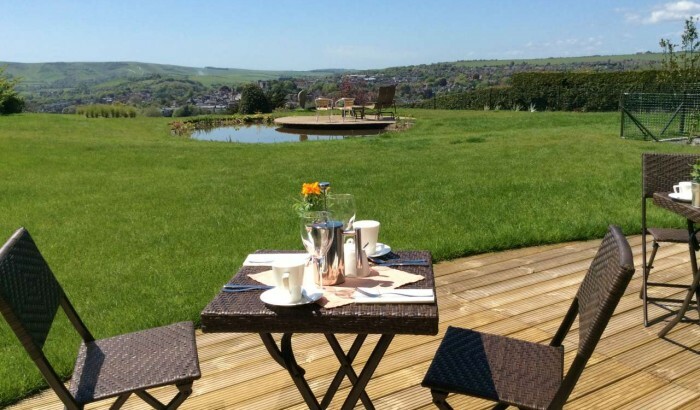 Close to Glyndebourne Opera and Lewes Golf Course, this ‘grand designs’ eco B&B offers boutique guest accommodation, healthy breakfasts and beautiful surroundings in which to luxuriate and unwind. 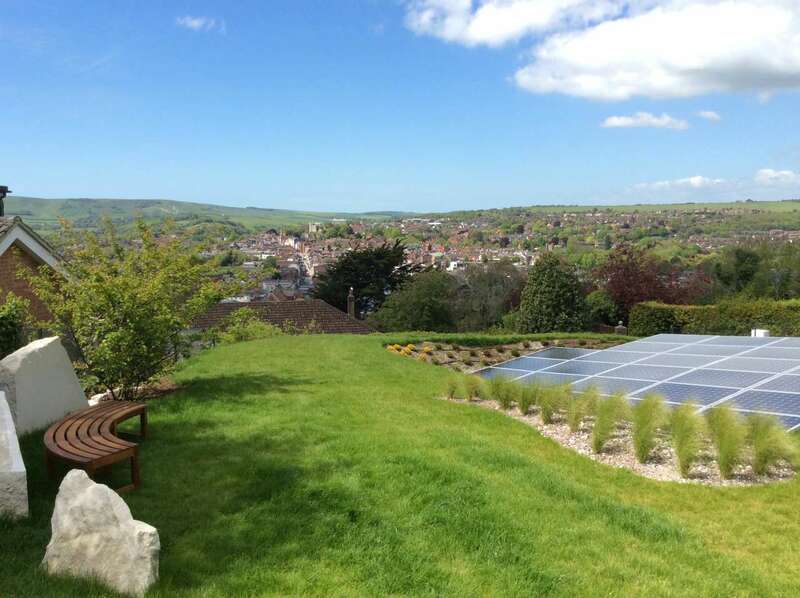 Located 5 minutes’ walk from town, with fabulous views over Lewes, Skyhouse is an ideal base for exploring the many attractions of Sussex and the South Downs National Park. Walkers and cyclists visiting this Area of Outstanding Natural Beauty will delight in Lewes, a favoured stop-off on the South Downs Way. 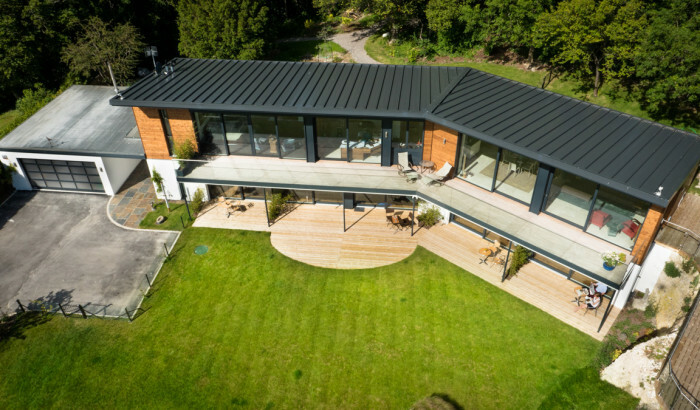 Skyhouse is a healthy home designed with well-being in mind. 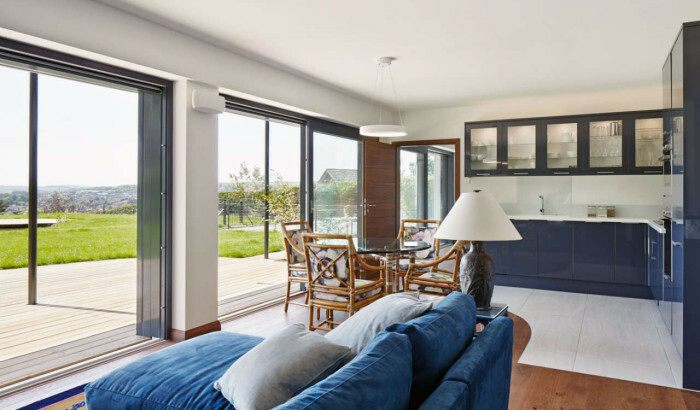 By building a zero carbon home, we have joined the wider community effort to care for our beautiful environment. 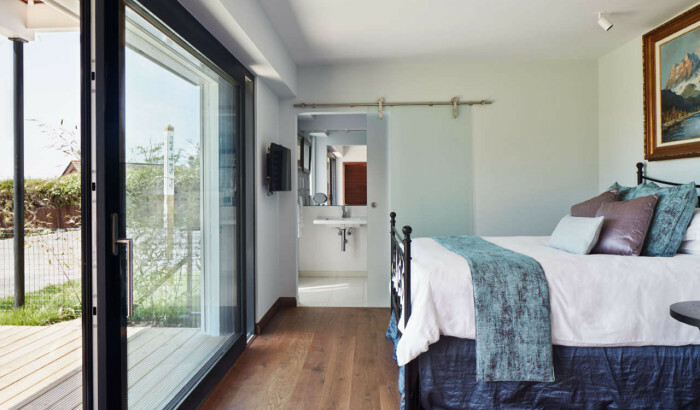 You can enjoy an extraordinary level of comfort when you stay at Skyhouse, thanks to the use of natural, sustainable building materials. No more heart-wrenching goodbyes at the kennels – we say that canine companions deserve a holiday too! 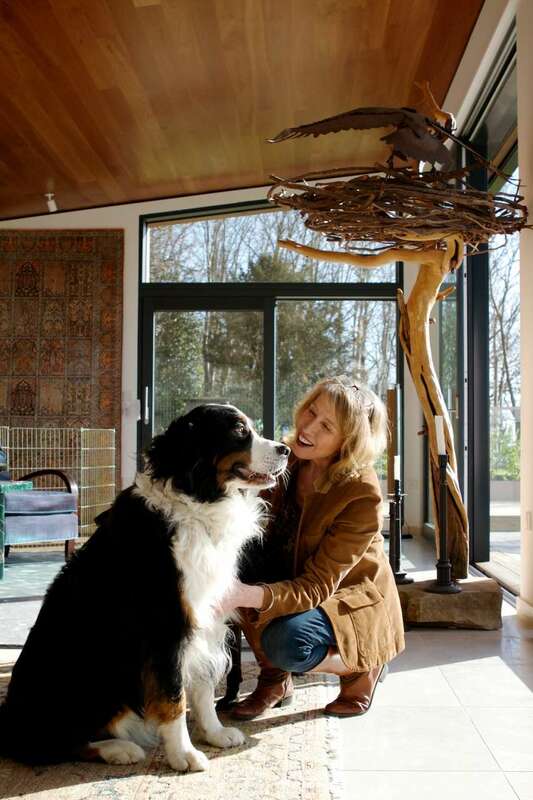 As we have two dogs ourselves, we know how much it means to have your four-legged friends with you when you travel, so we welcome well-behaved dogs with open arms. 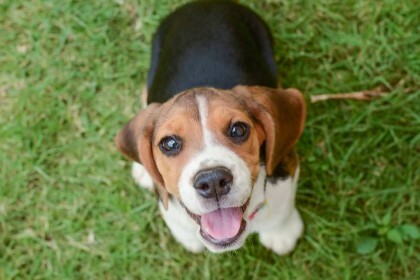 We can recommend dog-friendly restaurants and lovely local spots of walkies. Dog free room available. 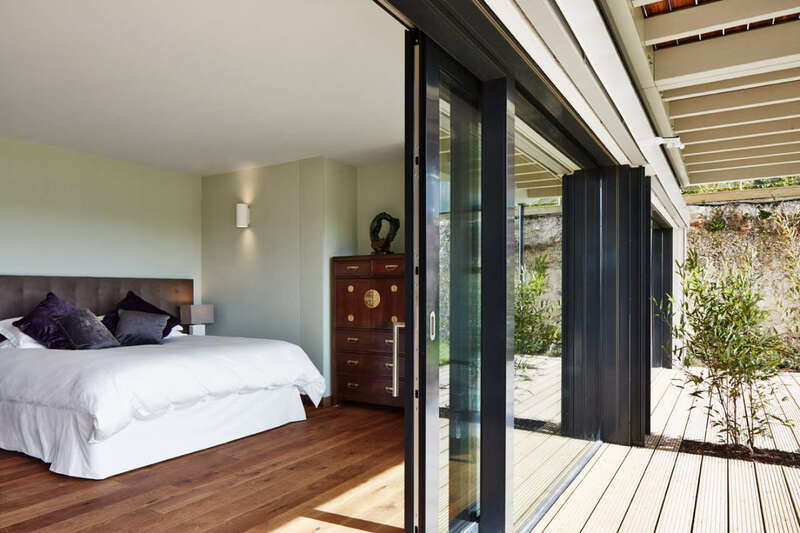 Skyhouse Eco Chic B&B is a special place to stay with fabulous views, beautiful spacious rooms and luxurious features throughout. 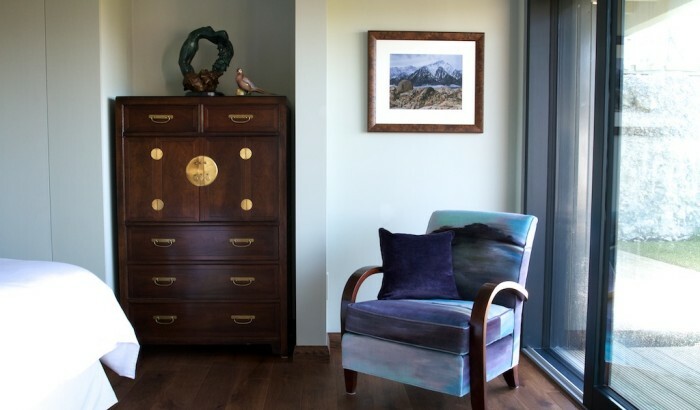 Located in a quiet residential area 5 minutes’ walk from town, our bespoke guest accommodation offers exceptional comfort and relaxation, with convenient wheelchair access. 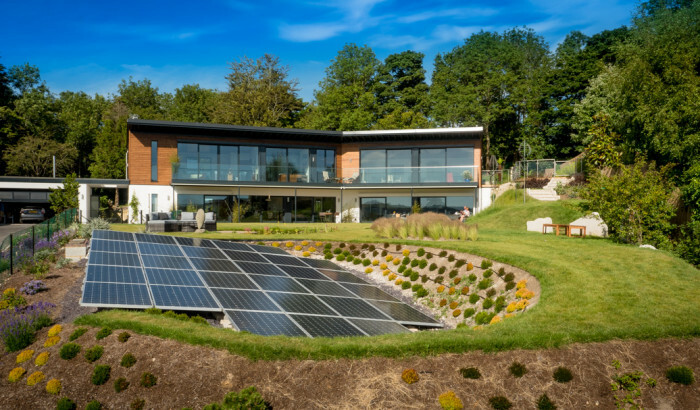 Powered by solar panels and biomass energy, we are one of the greenest B&Bs in Sussex. 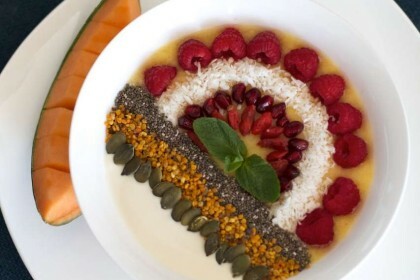 We offer healthy breakfasts that are guaranteed to promote wellbeing. 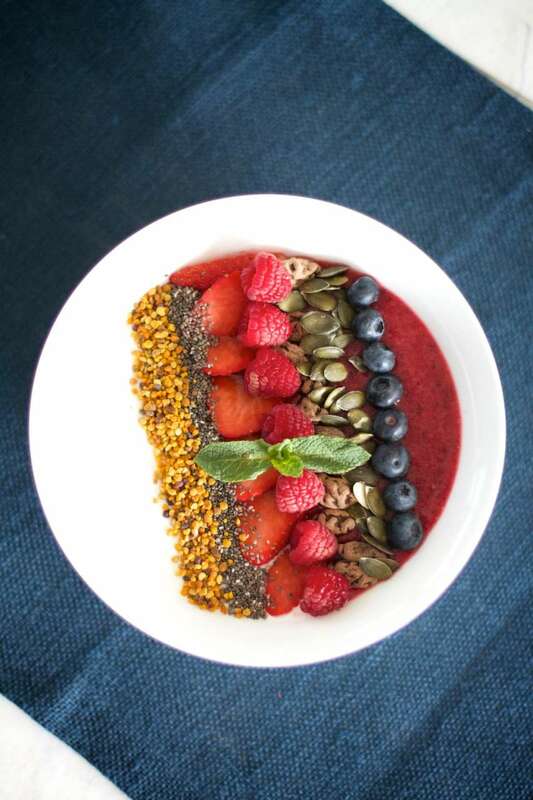 Choose from our menu of delicious and original 'smoothie bowls' of creamy bio yogurt, fresh fruit, nuts and seeds served with organic bread from our local bakery and homemade jams. We use local suppliers and, where available, purchase organic provisions from producers with high animal welfare standards. We're happy to cater for vegetarians and special diets. 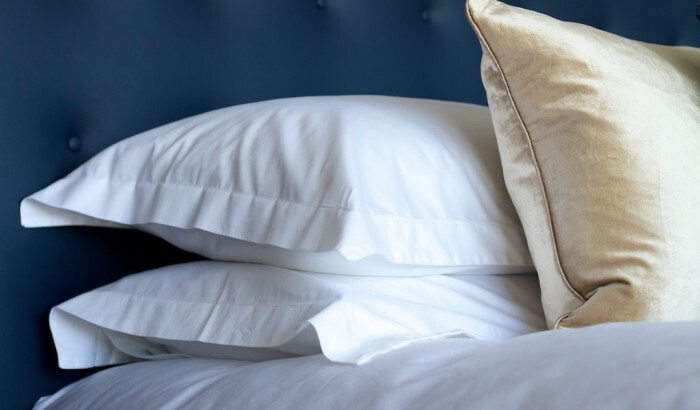 Leave the stresses of everyday life behind when you stay with us. 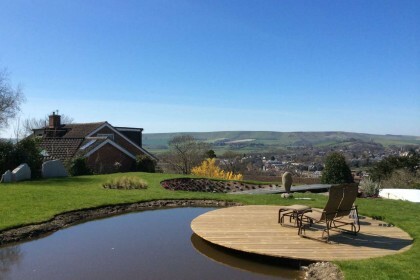 Enjoy panoramic views over Lewes and the South Downs whilst relaxing in our spacious garden. Walkers and cyclists visiting this Area of Outstanding Natural Beauty will delight in Lewes, a favoured stop-off on the South Downs Way. 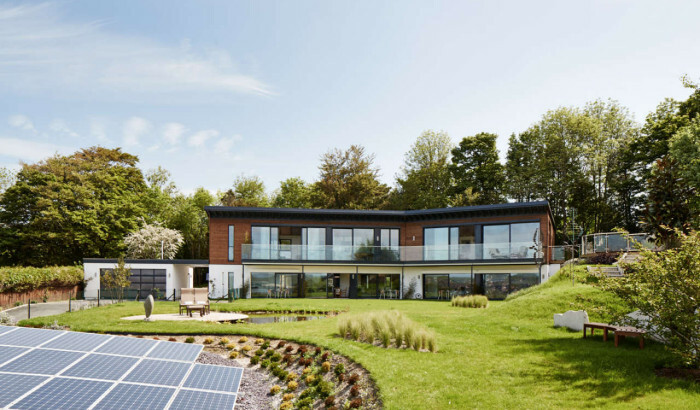 By building a zero carbon home, we have joined the wider community effort to care for our beautiful environment. Whether you’re into water-sports or wineries, heritage or horse-racing, beaches or buzzing nightlife, East Sussex has it all. From festivals to fireworks, castles to captivating countryside, steam trains to stately homes, you can discover them all when you stay with us. 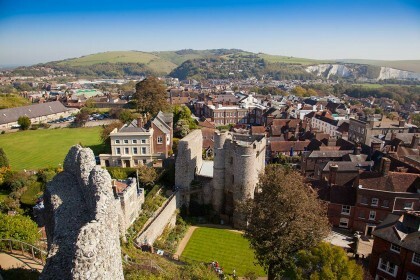 Lewes itself is a vibrant, artistic town boasting historic attractions, speciality shops, galleries, and a fine choice of restaurants, cafes and pubs. 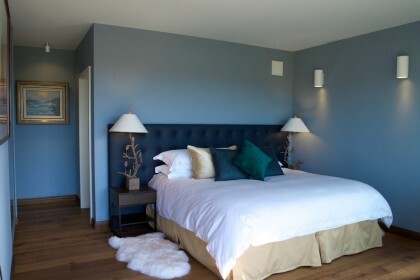 You’ll find us good for relaxation and good for the environment.